Paragon Fire & Security Systems provide a range of high performance CCTV systems for industrial, business, commercial and domestic sectors. We have over 20 years’ experience in CCTV system design, installation, maintenance and monitoring and are SSAIB certified. No one CCTV security solution works for all organisations and buildings. So, we begin with a technical survey to help you decide on the best customised CCTV surveillance solution for you. Consideration should be made to where the cameras will be located and the picture quality that you would like to achieve. 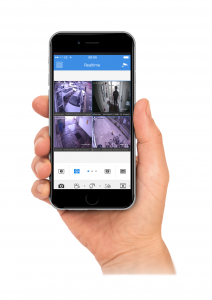 Do you require indoor and outdoor cameras? Do they need to be vandal resistant? Do you need to identify number plates? Do you need facial recognition? Paragon Fire & Security installs standard definition systems (720 x 576 Pixels) through to high definition systems (720 x 1280 or 1920 x 1080 pixels) which give you far greater detail and depth to images. All of our cameras come with night vision capabilities with the use of infrared. Remote viewing via mobile devices (Iphones, Ipads and android devices) can be incorporated for extra peace of mind when away from the premises. We can Install a variety of CCTV systems from static cameras to fully functional dome cameras. Our static camera range includes covert cameras, bullet style cameras or mini domes. Our fully functional dome cameras, better known as PTZ’s are available in a wide range of specifications and we can advise on the best type to suit. Once installed, it is imperative that a CCTV system continues to function optimally at all times. To this end Paragon offers CCTV maintenance packages and repair services. Call us to discuss your CCTV system needs on 01483 724484.